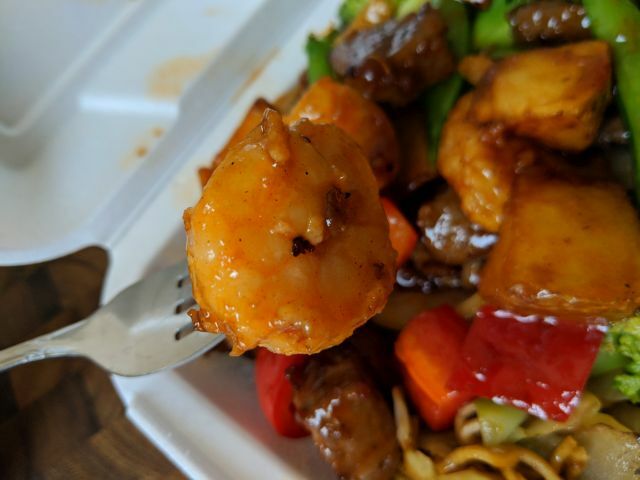 Panda Express' Wok-Seared Steak and Shrimp features pieces of Angus top sirloin and shrimp stir-fried in a wok with a new Chinese-inspired steak sauce along with potatoes, red bell peppers, sugar snap peas, and yellow onions. A two-entree plate was $8.85 (normally it's $7.60 but the steak and shrimp was $1.25 extra). The steak was tender and came in bite-sized chunks. The shrimp was likewise tender and each one made for a good mouthful. There wasn't much of a sear to most of my pieces though. 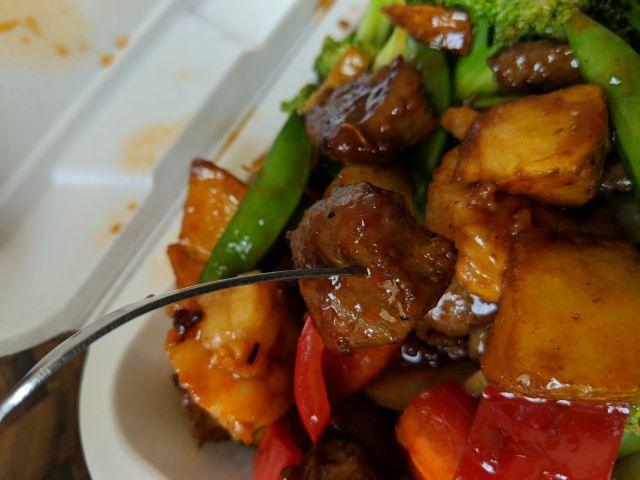 The Chinese-inspired steak sauce was mild and savory joined with a bit of sweetness and tang, plus just the slightest bit of heat. The potatoes lent that steak-and-potatoes vibe and were soft but not mushy. The rest of the veggie were firmer and fairly fresh. 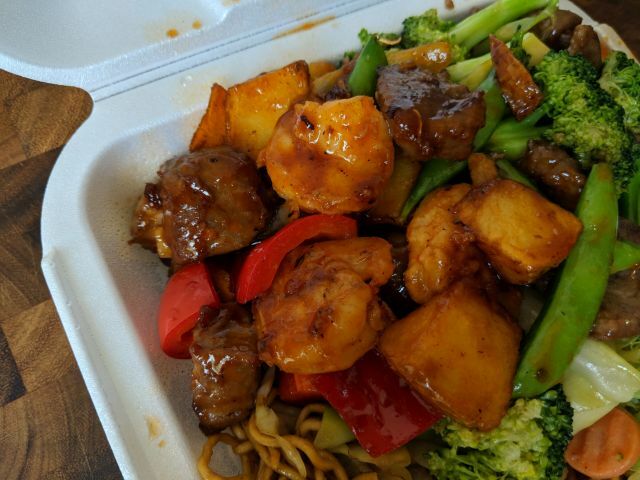 Taken altogether, Panda Express' Wok-Seared Steak and Shrimp was quite enjoyable. I liked that the sauce was mild (but not boring) so that the flavors of the steak, shrimp, and veggies were front-and-center in the dish.